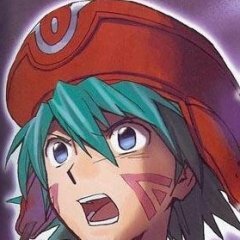 I've compiled together a RAR package with all of the necessary plugins and stuff with the PS2 emulator to play Fragment. You just run it and set it up on your own. Now Complete with MEMORY CARDS and corrected which pnach file was where so you can get goin! Instructions: To get this to work, you will need to open up the emulator, go to - 1. Config 2. Plugin/Bios Selector 3. Plugins 4. Dev9 and select CLR DEV9 0.6.4 5. Configure 6. Make sure Enable Ethernet is checked 7. Hit Options and under Adapter, select your Ethernet adapter. Ex: Ethernet - Realtek PCIe GBE Family Controller (Note: If you use Wi-Fi, you must select the Wi-Fi Adapter, not the Ethernet Adapter from the drop down list.) 8. Hit Apply To get the keyboard to work you follow similar steps as before but instead of Dev9 - 1. USB 2. Select CLR USB Keyboard 0.5.0 (USB_VB) 3. Hit Apply Alternative Step 3. It has been said that version 0.5.0 of this plugin doesn't work for everybody so here is a link to 0.7.0. https://www.dropbox.com/s/rzrhd8wy2s6eeqv/CLR_USB.dll?dl=0 To use this plugin, you just- 1. Place file into Plugins Folder for PCSX2 2. Open PCSX2 3. Config 4. Plugin/Bios Selector 5. USB drop down box 6. Select CLR USB Keyboard 0.7.0 7. Hit Apply Side Note: In order to use the keyboard in Fragment, simply type using your keyboard like you normally would. No special button to activate the typing. Hitting enter sends your msg and closes the dialog box. To get online: You must find or have a copy of the Network Adapter Disc (I swear you can find it out there on the net somewhere.) Go through the easy to set up guide and save it to the memory card. 1. When it asks you if you subscribe to an ISP you hit yes 2. If it asks you if theres a sign in ID hit NO 3. Name it whatever you want 4. Save it to your Card 5. Start Fragment Don't forget that once everything is set up you must enable cheats if it isn't already ;D If you haven't already done so, download and install this in order for PCSX2 to even RUN on your PC in the first place. https://www.microsoft.com/en-us/download/details.aspx?id=48145 And done, set up.